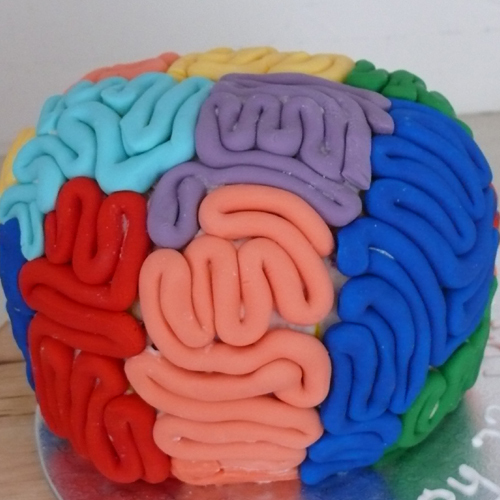 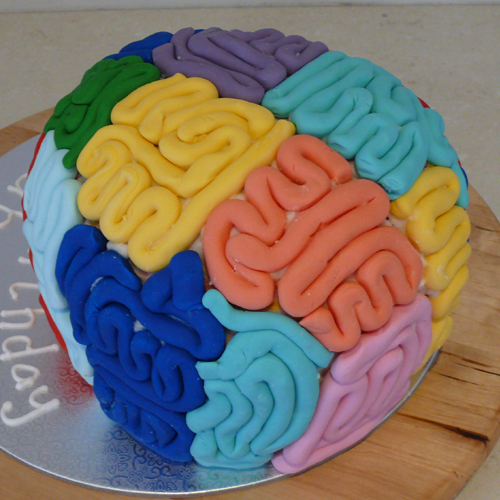 Gluten free / Lactose free delicious Brain Cake. 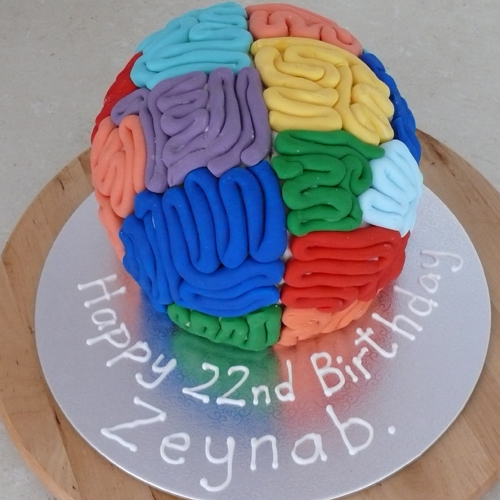 Enjoy this great cake in any flavour, surrounded by colourful fondant. The icing colour can be changed, a fondant knife can be added for a halloween /scarey party feel.